Residents will perform the majority of their rotations at the Department of Otorhinolaryngology at the Hospital of the University of Pennsylvania (HUP). Founded in 1874 as the nation’s first teaching hospital, the Hospital of the University of Pennsylvania is the flagship hospital of the University of Pennsylvania Health System. The facility provides a comprehensive range of both in- and out-patient services, including highly specialized tertiary and quaternary levels of care in more than 200 specialty programs and clinics. For 2014-2015 HUP had 36,737 adult admissions, 65,365 emergency department visits, and 1,515,612 outpatient visits. 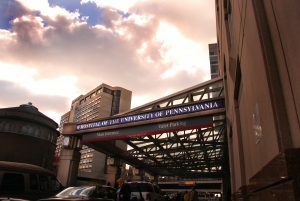 Hospital of the University of Pennsylvania, located at 3400 Civic Center Blvd. 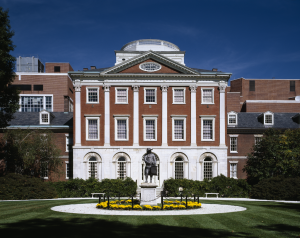 The original Pennsylvania Hospital was the first hospital in the United States and over the years has had a long teaching and faculty affiliation with the University of Pennsylvania. Pennsylvania hospital has evolved into a 496-bed tertiary care hospital with a very busy subspecialty surgical component. The hospital was acquired by the University of Pennsylvania Health System in 1997 and provides an excellent addition and a very strong clinical volume for resident education. For 2014-2015, Pennsylvania Hospital had 19,854 adult admissions and 34,390 emergency department visits. The rotations at Pennsylvania Hospital are under the direction of five full-time faculty providing an emphasis in high volume general otolaryngology, laryngology, facial plastic surgery, and head and neck and reconstructive surgery. Pennsylvania Hospital, located at 8th & Spruce Streets. The Penn Presbyterian Medical Center provides complementary experience in general otolaryngology, laryngology, head and neck surgery, otolology, as well as facial trauma. Outpatient surgery is performed in an ambulatory surgery center within the new Penn Medicine University City building. 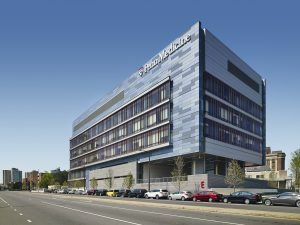 The Level 1 Trauma Center for the University of Pennsylvania Health System is located at Penn Presbyterian Medical Center, which is now a 331 bed facility with the recent addition of the Pavilion for Advanced Care.For 2014-2015, Penn Presbyterian Medical Center had 14,634 adult admissions and 38,048 emergency department visits. Penn Presbyterian Medical Center, located at 39th and Market Streets. The Philadelphia Veterans Affairs Medical Centeris located only two blocks from the Hospital of the University of Pennsylvania. The hospital is a 453-bed facility with 170 surgical beds and a large otolaryngology service under the direction of three faculty providing general otolaryngology services as well as specialty care in head and neck oncology, laryngology, and rhinology. 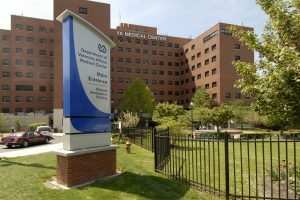 The Philadelphia VAMC is a referral hospital for other VA hospitals in the region. Our faculty are actively involved in basic science research with laboratories located at the Philadephia VAMC. Philadelphia Veterans Affairs Medical Center, located at 42nd and Woodland Streets. The Children’s Hospital of Philadelphia (CHOP) is the oldest children’s hospital in America. CHOP and is consistently ranked as one of the best children’s hospitals in the United States. CHOP attracts patients from across the globe who wish to receive world-class care. CHOP is a 530 bed facility with 31,262 inpatient admissions and 88,212 emergency department visits in the last year. Annually, over 8,000 otolaryngology operative procedures are performed at CHOP. The variety of these procedures spans the breadth of pediatric otorhinolaryngology. CHOP maintains a Cochlear Implant Program as well as a Center for Pediatric Airway Disorders. The pediatric otolaryngology research scientist and clinical faculty direct a diverse program of basic science and clinical research projects. 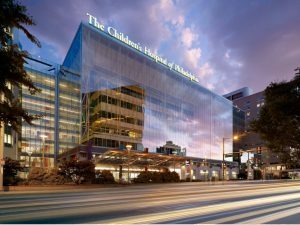 The Children’s Hospital of Philadelphia, located at 34th Street and Civic Center Boulevard.